2008 marked UAIC’s third consecutive participation at the QA@CLEF competition, with continually improving results. The most significant change to our system with regards to the previous edition is the partial transition to a real-time QA system, as a consequence of the simplification or elimination of the main time-consuming tasks such as linguistic pre-processing. 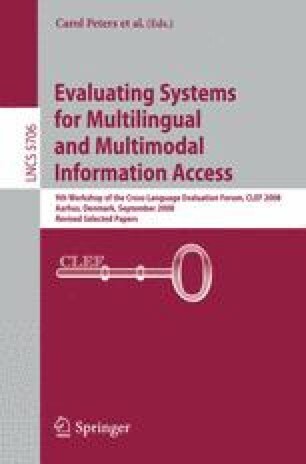 A brief description of our system and an analysis of the errors introduced by each module are given in this paper.